Later this month, Samsung will launch its new mid-range Galaxy M series. 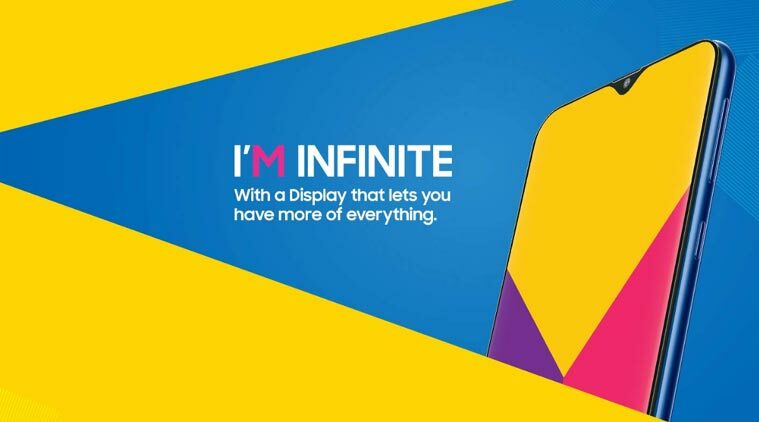 These are the first smartphones to feature the company's Infinity-V display, so-called due to its centered teardrop-shaped notch housing the front-facing camera. In another first for Samsung, the devices will be launching exclusively in India on January 28 ahead of a global release, in an attempt to regain ground lost to Chinese rivals like Xiaomi in the world's second biggest smartphone market. The popularity of Xiaomi's budget Redmi smartphones among younger consumers is believed to be a factor in declining sales of Samsung devices in the country. According to data from Counterpoint, Xiaomi overtook Samsung's share of the Indian market in Q4 2017, and maintained a five point lead over the company as recently as Q3 2018. The Galaxy M series is being seen as a direct counter to Xiaomi Redmi, and the Korean company has indicated as much. 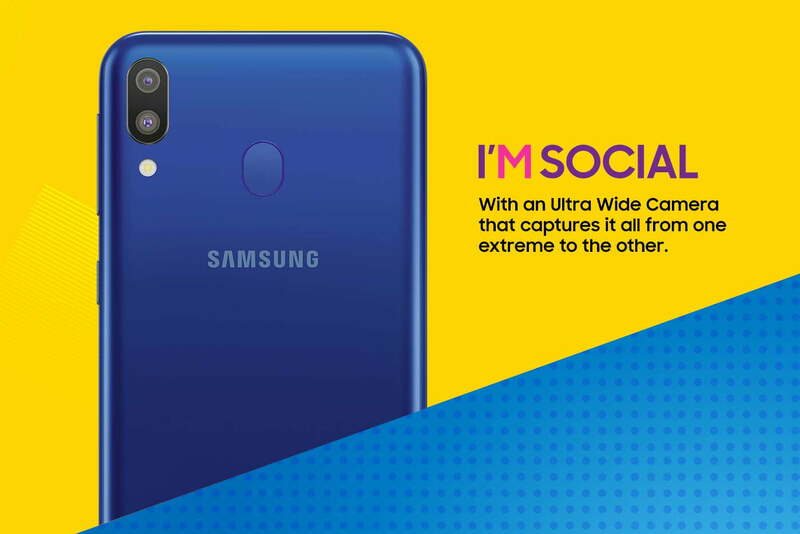 "The M series has been built around and incepted around Indian millennial consumers," said Samsung India's senior vice president Asim Warsi, speaking to Reuters. The line-up is thought to include three models, the M10, M20, and M30, which feature one, two, and three rear-facing cameras, respectively, a USB-C port, a rear-mounted fingerprint sensor, and a headphone jack. 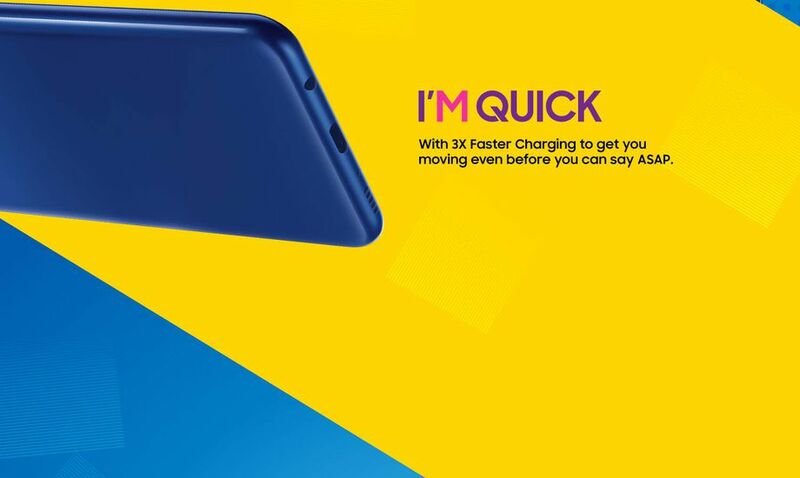 The M-series phones, which Samsung plans to sell only through its website and Amazon India, also promise fast charging, long battery life, and high performance, all for a price of between $140 and $280. With smartphone sales flattening in saturated markets like the United States, Apple is said to have turned to India for new growth, but with little success so far, according to a report published late last year. Just one in four Indians are said to own a smartphone, providing Apple with an opportunity to sell iPhones to millions of new customers in the country. According to the report, Apple's problem is that India is a very price-sensitive market, with more than 75 percent of the smartphones sold in the country costing less than $250. However, so far Apple has been reluctant to change its traditional business model for selling iPhones, which prioritizes a limited number of coveted products sold at high prices. In that sense, by offering a range of handsets with affordable high-end options, Samsung appears to be attempting a level of regional flexibility that Apple has yet to chance. At these prices Apple may as well give up on India. Like trying to sell an expensive Ferrari to a homeless person. Apple will never make a $250 phone. Maybe Apple can target India with second-hand phones that are traded in for newer phones in developed countries. There won’t be any profits made in India, but at least Indian consumers would subsidize expensive phones in developed countries by buying used traded-in phones, which would make expensive phones more attractive in developed countries. Really? So things are too expensive in India, so sell them old rubbish to make it cheaper for other countries? Meanwhile they could buy brand new working phones from other companies. I’m no Steve Jobs, but as a business plan, that’s ridiculous. India doesn’t get anything decent out of it. My opinion… yes they do. And on a number of levels. If Apple cares for unit growth they can't simply ignore China (the reasons for China's lacklustre sales are different though) and India, and ergo, the middle/lower-middle tier. Apple has hit, and really surpassed, its limit on maintain profit by raising prices to maintain profit levels. More than likely there will big shift down in price for Apple as it is. Without iPhone unit sales growth how do you get significant services (iCloud, Apple Music etc etc) growth? On Android iCloud is sweet FA useless so why would anyone care to have it let alone pay for it. Then it brings into question the next tier of product (Apple Watch, Apple TV, AirPods etc) and again, without an iPhone… why? Apple also needs a sub-$400 phone also for the saturated western market for that eco-system "lock in". You need to think about the youngest generation. If you're unable to buy them an iPhone (or hand them down one - making that next purchase more expensive) as a first phone you'll end up getting them a very pretty decent sub-$300 Android phone. They get set up on Android and then you need to think… why would I want to spend significantly more on Apple once that's happened? Capturing the next generation of phone owners/users is that much easier with a sub-$300 phone. I switch to Android 4 months ago and the chances of my returning to iOS are slim to none. There's nothing that I can't currently do on my <300€ Android phone (that's has an AMOLED display) that iOS does particularly better. Sure iOS is a better OS… but 500€+ better. And that break will leak into product categories. I'm currently eyeing a Samsung Galaxy Tab S4 4G that's on sale. If I'm only doing a bit of email, web browsing and watching video on the thing what difference does iOS make to that… not a lot. However, that AMOLED display in the Tab S4 is it better than the iPad Pro display at half the price? I really don't need my tablet to be "best in class". I need video to be excellent value. Apple are losing significant opportunities by being snobs in the premium tier only. I just bought Note 9 512 GB off market new piece with warranty for $950 in India and FYI here in India XS Max 512 GB is $2100 ! Even off market iPhone XS, XS Max way too expensive for the spec in comparison. For example, I did consider XS Max, but it lacks Twin Apps (WhatsApp for both SIMs), iMessages only for one number (not a must feature), usable display is smaller than stated, some of the domestic apps are unavailable in iOS. I'm sure the iPhone 6s sold in India for $250 would be a better phone than this cheap Samsung phone made in 2019. Omg. I work with lots of Indians and they like to use "M" as a substitute for "I'm" when texting. Honestly it drives me crazy. It's funny that this ad is a direct reference to that. Ever heard or read this phrase yet? Oh yeah, it's not exclusive to one culture. But it's definitely more obvious in India due to the comparative difference in income. I live in a town of millionaires. Lexus here is a poor-man's car. I'm treated like dirt because of my Kia Sorento that I drive. I can buy any car I want for cash but choose to buy Kias, as they are excellent cars for a fraction of the cost. I don't buy Apple because of the brand but because until recently, Apple has been a great value. Unfortunately, this is now changing. I did end up buying a 2018 MacBook Air in the last days of 2018, but I only did it because B&H was having a decent discount right before the New Year's and there was no sales tax. I still can't fathom buying a Wintel laptop, but the Apple value proposition has evaporated for me. So, with laptops, I may have to continue buying Macs going forward, but I will go for lower-end ones, like this 2018 MacBook Air, which I maxed out in specs, by the way. It turns out that the 2018 MBA has enough power for what I do, and I've learned that I no longer have to buy MacBook Pros. With cars, though, I love the value and the quality that Kia provides. I have a top-of-the-line Sorento with Napa leather, great infotainment, all sorts of driver assist tech, AWD, etc. The car is at least as good as the top-of-the-line Lexus RX350, except for the badge, which is looked down upon with disdain here in the US. I can't wait to trade in my Lexus GS for the Kia e-Niro this spring and then later in the year to trade my Kia Sorento for the Kia Telluride. I was completely ready to shell out $65,000 for the Model 3 in the last two weeks of 2018, but after having driven the Model 3, I thought that $65,000 for the Model 3 was totally ridiculous. The car has so many manufacturing defects obvious to the naked eye, and the materials used inside the car are so cheap, that the $65,000 is ridiculous, IMHO. Nevertheless, Tesla sold a few thousand Model 3s in my suburb alone in the past 4 months or so. when I take my son to school every morning, which is only 4 miles away, I see at least 10 Model 3s on my way there and back. In the school carpool alone, there are 3-4 Model 3s in line that I see daily. I worked with dozens of Indians, and they buy BMWs and Jaguars exclusively for themselves and the Honda Odyssey for their wives to haul around the kids. The fancy car for them is the rite of passage to their American life. It's pretty funny to see their reaction when I get in my Kia Sorento. Pure disdain! It blows their mind, as they know I make twice as much money but drive a Kia. LOL. I'd say that most Americans go for flashy brands regardless of the value. Perhaps Apple is not doomed after all. Nope. India already made it pretty clear they will not be a dumping ground for used phones.